Mariechen Danz work deals with knowledge transfer, placing the body at the center of her practice. 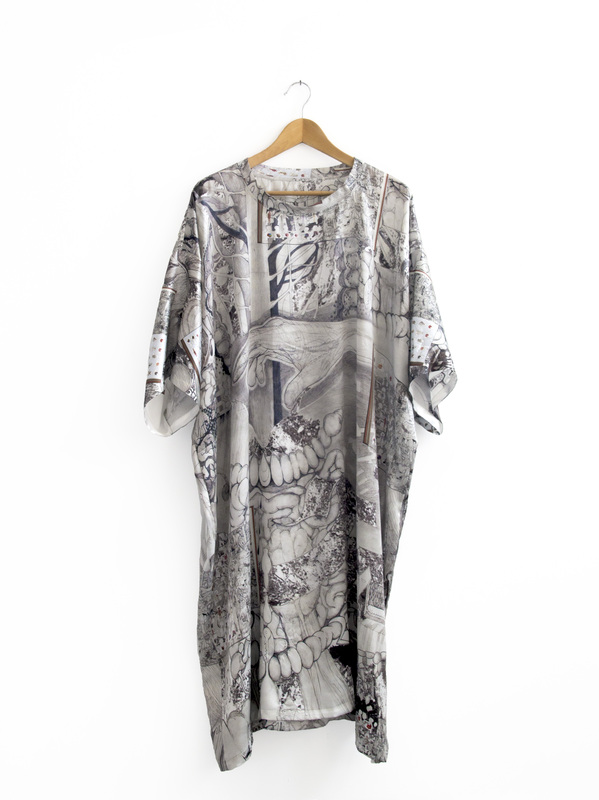 In three silk dresses she produced exclusively for Black Palm she depicts elements from her drawings and sculptures together in collages that are digitally printed on silk. Each dress depicts images from multiple histories of human anatomy, including misunderstandings and myths along with contemporary digital renderings of the body. The silver dress is a collage of elements from her ‚Common Carrier Case‘ 2012 drawings series, graphite on paper which is scanned and printed on a marble skin.